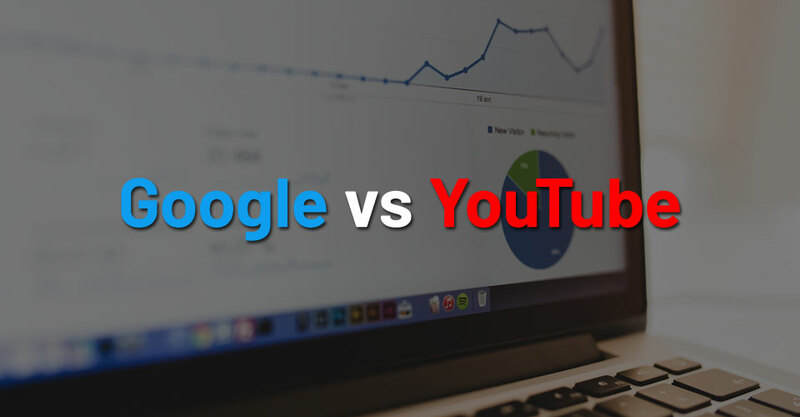 Google vs YouTube - Which is Better for SEO Traffic? Google vs YouTube. This is a long-debated question that many articles and blog posts, even videos try to answer. 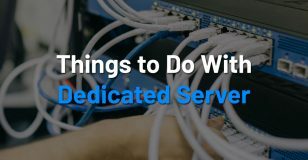 In this article, we’ll do that as well. But how exactly? First of all, we’ll show you some statistics for both Google and YouTube, to give you a better idea on why you should use them for getting more traffic. The next aspect will be to mention the advantages and disadvantages that come with using Google for SEO traffic and YouTube for SEO traffic. Here there will be covered some methods on how both handle SEO. In the end, we’ll see which one is better, considering our facts mentioned in the article. But let’s quickly refresh what SEO really is: SEO stands for Search Engine Optimization. The idea is pretty obvious. Using SEO, you will optimize your website’s content and the site itself, to be found easier on Google or other search engines. This is done by optimizing the website’s title and content, by using keywords that people type into Google to find a certain solution or service they need. In a nutshell: you must have keywords written in your title and content, so when Google does a certain search for a subject, your website will appear as a result of that search. There are many more aspects that have to be taken into account when you manage the SEO for your website, but this is the main idea. Now, we’ll move on and talk about Google and YouTube separately to see which one is best at getting your SEO traffic. I don’t have to tell you that Google is the biggest and most used search engine that was ever created. It is used every day by millions of people, and you’re probably one of them too. For example, every second, there are more than 50,000 searches made using Google. That is every second. If we talk about a whole year, the number grows to hundreds of billions, and possibly even more. Now think about how many people are using Google. I mean, all these queries are made by people using a PC or a mobile device. So, we can safely say, that Google truly is the most important search engine ever created. For instance, the total number of people who are using YouTube is more than 1,3 billion. That’s right! No surprise, it’s the second largest search engine after Google. Here’s another one: every day, more than 30 million people are using YouTube. And each month, approximately 3,25 billion hours of video content is being watched on YouTube. On average, there are more than 1 billion YouTube videos watched on mobile devices every single day. This is the last one I’ll mention here: every minute, there are 300 hours of video uploaded to YouTube. We could go on even more. But I think you get the point: YouTube is really a good candidate if you’re looking for a way to get more visitors to your website or you just want to market what you do. But how can you use it, to get the most out of it? That is something we’ll later cover in this article, and I’ll give you some of the advantages that come with using YouTube for such purposes. First, let’s see what advantages does Google have, for getting more SEO traffic. There are many advantages that come with using Google to get more visitors. I won’t mention them all, because that would need a separate article just for that purpose. The first and probably the most important aspect for many people when it comes to SEO is the fact that it’s free to use. Yes, you can hire someone to do it for you, but in essence, using Google SEO is free. That is because, if you are the one managing your website (like most people), you are probably the one who takes care of SEO as well. Which means that you don’t have to pay others for this. It is free, also because implementing an SEO tactic does not cost a dime. You don’t have to purchase some kind of complicated program where you do SEO. Everything is done on your website’s dashboard, which comes together with your hosting package. The next advantage with Google is that you get targeted traffic. What does this mean? Well, think about it. If you’re the owner of a website, you surely need constant traffic there, right? If you’re using SEO from Google, you will receive visitors who are actively looking for the subject your website is about. And that’s exactly what you need. If your new visitor finds your website on Google, it means that he’s looking for answers or solutions to something in his life. The idea is, that using Google SEO, you get quality traffic, that is hard to get from other places. This way, these new visitors won’t be just one-time users. They will probably come back because they found exactly what they were looking for. This is just what a new website needs. SEO works all the time, 24×7. Why is this an advantage? With using SEO to promote your website, you don’t have to stay awake besides your laptop/PC all the time for marketing. Once you do everything right and get on the first page of Google (which isn’t easy), things will happen by themselves. People will find you in no-time, without the need to do much else. But this is true only for a certain period of time (see disadvantages for why that’s the case). Your competitors are using Google SEO too. You may think that this is a disadvantage. It depends on how you look at it. Because of the fact that your competitors are using SEO, you must be using it as well. If you’re not doing this, they will take the lead, and your business and website will have to suffer. So, using SEO with Google, you make sure that your competition is put in place. The last but not least advantage that I’m going to address here is the possibility to measure your progress if you’re using SEO with Google. If you do everything right, you’ll be able to use specific tools to measure how your SEO tactic is working. The most popular tool that does this kind of work is Google Analytics. Here, you can see how your website is performing, and many other stats too. This can be really helpful, because if you see that something isn’t exactly the way it should be, you can simply go back into your website’s dashboard, and tweak the settings and SEO content more, to fit your needs. This is possible even after your website is online and full of content. Now, let’s check some of the disadvantages with using Google for SEO traffic. Maybe the most notable disadvantage that comes with Google SEO tactics, is the fact that it takes time to achieve success. This is true no matter how efficient your working process is. If you do certain changes, it can take weeks or even months for Google to realize what you did, and rank your website higher in results. Knowing this, you should be cautious when you’re looking for an agency who handles SEO. If they say that results will happen in a few days, you’d better be suspicious. Something this good is hardly happening, simply because that is not how Google operates. 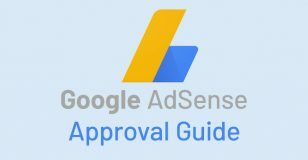 This disadvantage has a small but notable positive side to as well: because it takes time for Google to realize the changes made to your website, you can stay calm knowing that a good change will work a long time. No guarantee for success. I said that SEO is really helpful in making you stand out with your business. That’s true, it is. And once you get a good result, traffic will come easier. But even so, you have no guarantee that what you implemented will work efficiently. This is mainly true, because many search engines, Google included, are constantly changing their technique on ranking websites. So, once you do get good results, you might have to change things again to be able to keep your position. The reason behind this is, that you don’t have full control over SEO with Google. Nobody knows exactly how Google’s search engine operates in full detail. Only Google knows that. So, you really have to look at all the details when coming up with an SEO tactic that will work. The first thing you need to take care of is your YouTube channel’s title and description. They both have to be closely related to what your channel’s main subject will be. For instance, if your channel will feature videos about new electronic gadgets, you won’t name it ‘’The Music Channel’’. This is quite an exaggeration, but you get the idea. The description should also be short and tell a possible visitor exactly what he’ll find there. You have to follow the same principle as with coming up with the perfect title. For certain videos that you upload, you must take your time and create a good title and description that will help you stand out. To do this efficiently, it’s best if you look up the best keywords that people use to find a specific subject. These keywords should be used in the title and video description as well. If possible, at the beginning of each. This way, you’ll ensure a higher ranking on the YouTube search results. The next advantage that is worth pointing out for YouTube is that the competition is not as fierce as with Google or other social media platforms used as marketing means. 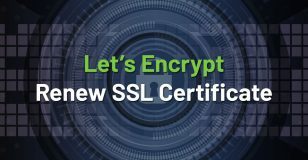 This is good news for any website owner. That means you have more chances to get yourself, new visitors, using video marketing. After all, YouTube is about videos, right? If you’re using YouTube for getting SEO traffic, there is one more advantage that Google doesn’t include. If you manage to release a video that will get a lot of views and shares, it can appear easier on the first page of YouTube in the trending section. This way, many people will be able to see your video in a short period of time. Google doesn’t have this option available. The last pro that comes with using YouTube for getting SEO traffic, is the chance to easily check the user experience on a specific video. This is very important because YouTube is using it as well, to know which videos are popular and worth ranking higher. The aspects that are most important to look at are the number of likes, dislikes, shares, and comments you receive. Of course, a video that is getting a lot of shares and likes will become popular faster. The same is true for those videos that have an active comment section. All these aspects will tell YouTube if a video is worth ranking higher or not. By checking these metrics, you can tweak your videos further and change things that don’t work like you expected them to. One disadvantage that many people seem to mention with using YouTube, is that fact that you can’t get rid of the advertising. If you upload a video, no matter how you do it and what the video is about, you will have ads placed on it by YouTube. This can become frustrating if you want to market your own website or business. Another negative that comes with using YouTube for SEO, is the nature of the platform. Differently, from Google, YouTube is solely made for videos. Other types of content, like blog posts, for example, can’t be handled using it, thus marketing them is a bit more difficult as well. This is quite obvious, but for many people it can become a disadvantage, if they’re not used to making videos, editing and marketing them. Google is better for traditional SEO, where you just market simple websites, without video content placed on them. Now that we covered both search engines, it’s time we see which one is better, or which one is the winner considering what we talked about in this article. If you’re expecting an answer like Google is the best for SEO traffic, you shouldn’t use YouTube, you’ll be a bit disappointed. The truth is, that both platforms are great in their own way, and you should use both of them if you can. If you make a search on Google, for the best method to assemble a PC for example, Google will give you as for the first result, the webpage that is surely addressing this subject in an efficient and helpful way. YouTube is different. There, you will get as a first result the video that is most popular regarding PC assembly, not necessarily the one that is really helpful. YouTube is best for you if you have a website that comes with video content as well. If that’s the case, you can create yourself a personal YouTube channel, that is directly linked to your website. This way, when somebody views a video on your channel, you can send him/her to your website. This is how you can get more SEO traffic using YouTube, instead of Google. All in all, the best way to get more SEO traffic, would be to use both Google and YouTube. There are many successful websites online who do this. You can be one of them as well if you properly use both Google and YouTube for SEO. 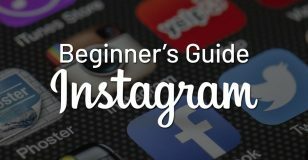 You’ve seen what are some of the advantages and disadvantages of both platforms. Think about them before you begin your SEO journey. 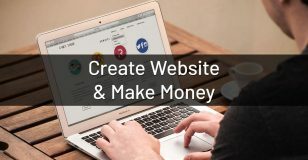 How to Create a Website and Earn Money? 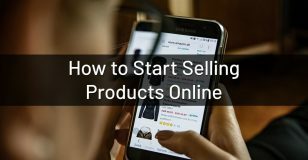 How & Where to Start Selling Products Online?